Alongside Carli Lloyd and Lieke Martens, Florida State sophomore Deyna Castellanos is a finalist for FIFA's Women's Player of the Year. 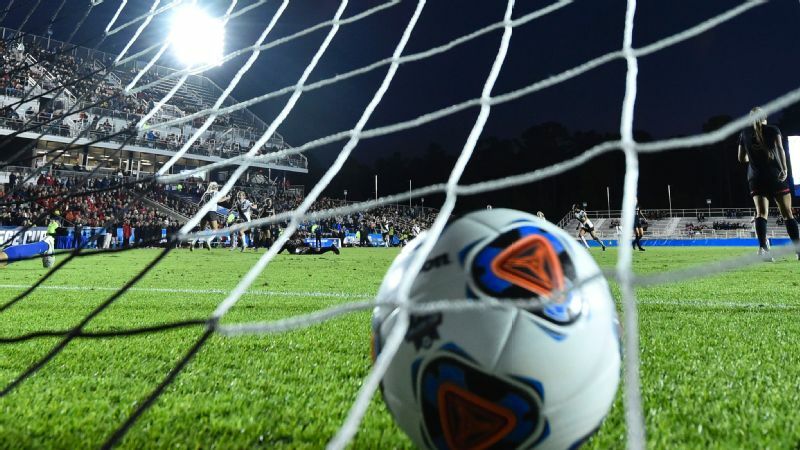 Deyna Castellanos contends that she knew soccer was the love of her life from the first moment she stepped on a field near her home in Maracay, Venezuela, and kicked a ball. If that seems precocious perspective on life and love from someone who was no more than 5 years old, there is every reason to trust her memory on what drew her to the ball in the first place. In her version of a familiar story, she wanted to be like her older brother. To do what he did. But it may not be a sibling who inspires girls to kick a ball in future generations. It may be her. When you are just 18 years old and nominated for FIFA's Women's Player of the Year award alongside Carli Lloyd and Lieke Martens, opposite men's finalists Lionel Messi, Neymar and Cristiano Ronaldo on a star-studded short list, you have the potential to inspire a lot of people. Unlike Lloyd, the U.S. captain who split her club season between Manchester City and the Houston Dash, or Martens, who won the European Championship with the Netherlands over the summer and was named the player of the tournament, Castellanos is not a professional. She is only a sophomore at Florida State. That youth made her a surprise finalist for the award -- which will be announced on Monday -- even after she excelled in her first NCAA season, led Venezuela to the semifinals of the FIFA Under-17 Women's World Cup (two years after doing the same as a 15-year-old in the event) and helped the Santa Clarita Blue Heat reach the final of United Women's Soccer, a summer pro-am league in the United States, a step below the National Women's Soccer League. In an absolute sense, her resume is not as refined as some of those bypassed, perhaps most notably Australian international and NWSL record goal scorer Samantha Kerr. That a player like Kerr could be omitted by the cumulative tally of votes from media, fans, national team coaches and captains raised eyebrows about a voting system retooled a year ago and about the attention some of those parties, and the powers that be generally, pay to the women's game. 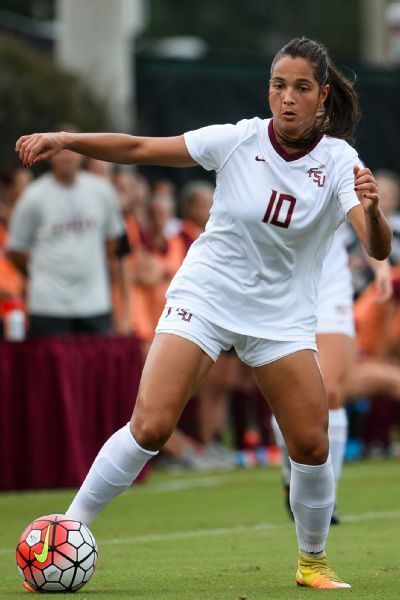 Florida State sophomore Deyna Castellanos has scored 14 goals in 15 games this season. That a teenager like Castellanos made the list, on the other hand, suggests not only dazzling skill and a flair for highlights, but a brighter day for women's soccer in South America. "When you look at the company she's going to be in, both on the women's and the men's side, and you look at some of the past finalists, the list is just magnificent," Florida State coach Mark Krikorian said. "For Deyna to be held in that sort of esteem is great for her. My comment to her was let's hope this is the first of many. You don't want this to be the last one." That first kick of a ball for Castellanos at 5 years old came at about the same time that Marta was first named a finalist for the predecessor to the current FIFA award. A five-time winner, the Brazilian remains the only South American women's player to be a finalist. And for much of that time, Brazil was the only South American women's team of any consequence. The myriad cultural, economic and historical reasons that is so are worthy of a book or a course. But the result was the kind of thing Castellanos heard playing among boys most of her life. "She's not a girl because she plays soccer," Castellanos recalled of typical remarks. "I didn't care because I didn't understand. I was so young. My parents, they had the harder part." Venezuela's history with soccer differs from much of the rest of the continent. The men's team has never qualified for a World Cup and rarely comes all that close. It is a country with divided sporting passions. There are more Venezuelans counted among the upper echelon of Major League Baseball players than among the similar ranks of the Premier League, La Liga or other elite professional soccer leagues. But it offered Castellanos an experience all too familiar across the continent over generations. "I think because it's not a girls' sport for Latin people," Castellanos suggested. "They think basically 'You are a girl, you have to play tennis or dance ballet.' If you are a boy, you play baseball, soccer, all the other sports that are more physical. "I think that my generation in Venezuela is so talented we broke the stereotypes of everything." With Castellanos at the forefront, that generation became the first from any South American nation, including Brazil, to reach the semifinals of the Under-17 World Cup. Yet she felt like to find the best training as she moved toward the senior international level, she needed to go abroad. Her plan was to play and study in the United States and then play professionally in Europe. Coach of the elite NCAA program most often associated with international talent, having featured former Hermann Trophy winner Mami Yamaguchi from Japan and Hermann finalist Dagny Brynjarsdottir from Iceland among many others, Krikorian couldn't recall coaching a South American player, even a Brazilian, at Florida State or any of his previous stops, including the old WUSA professional league. But after he saw Castellanos playing during the 2014 U-17 World Cup in Costa Rica and staying in touch, Tallahassee was a perfect fit. Similar to home in climate and relatively close geographically, it was also familiar with working around international soccer commitments and assisting students suddenly taking classes in their second language. 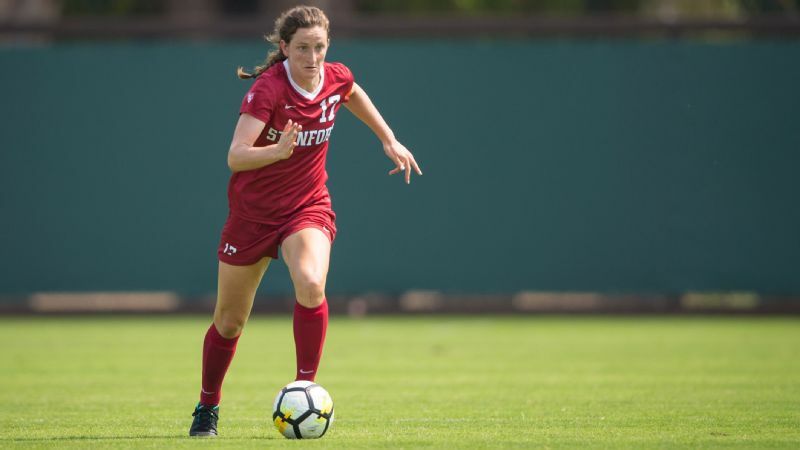 Her time divided between Florida State and the U-17 World Cup last fall, she still led the Seminoles with seven goals in 13 games. 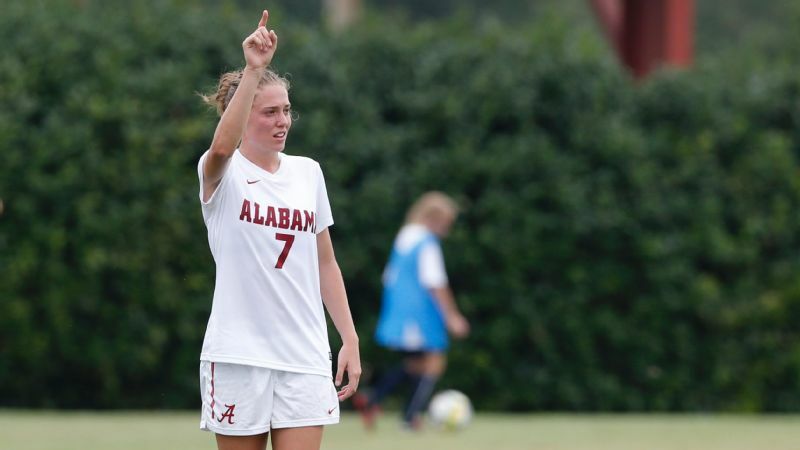 Able to focus solely on the college game this year, she ranks among NCAA leaders with 14 goals in 15 games. And rather than merely statistics in black and white, those goals are often vivid masterpieces of her own creation. They demand repeat viewings and even their own award nominations, including FIFA goal of the year. I think that my generation in Venezuela is so talented we broke the stereotypes of everything. She is so gifted with the ball that it feels at times like she isn't trying to solve a defense but rather the physics of the sport itself. The other team is no more than a nuisance. For someone not yet 20, that search for perfection at the occasional expense of the practical is also part of her development. She came to Florida State not to learn those skills but to better harness them. 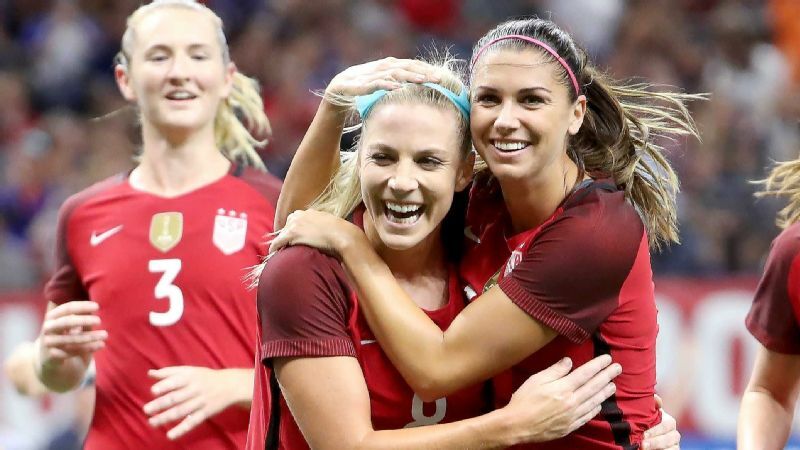 "What I've said to her a couple of times is my hope is she can take the responsibility of making her teammates better," Krikorian said. "If you're a really talented player, and we see it across the board in sports, the really truly great ones make the game more simple for their teammates. 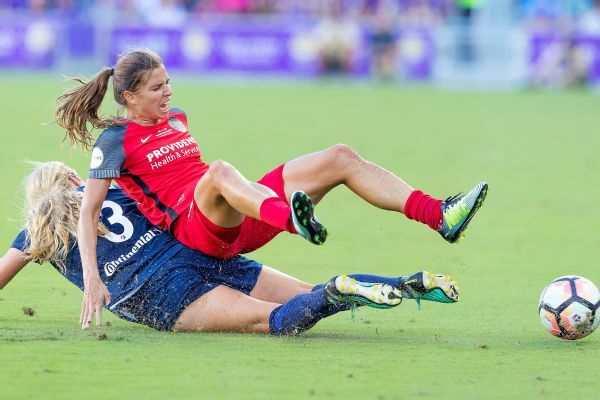 "That will help define her level eventually, whether or not she is able to put the ball on the proper foot with the proper weight, away from defenders, to buy those teammates an extra second." 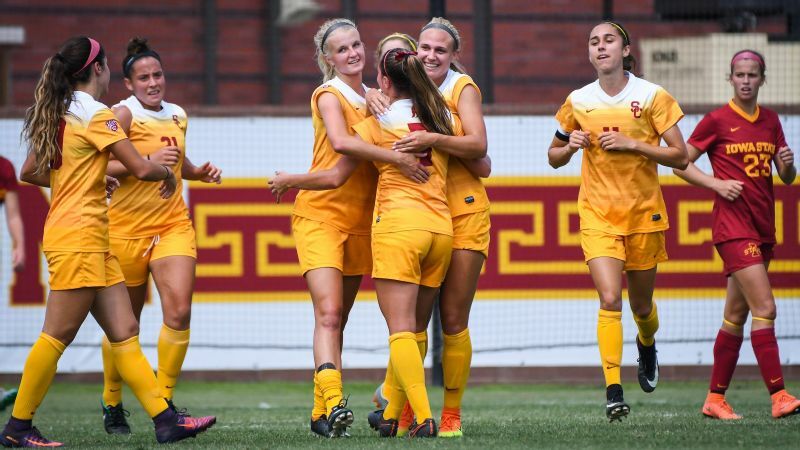 More than previous international Florida State stars, Castellanos possesses an extrovert's personality on the soccer field. Tempting as it can be when surrounded by a different language, she couldn't just stand quietly to the side and still be herself. She forced herself to speak up. "She's got the courage to say whatever it is she wants to say and recognize maybe it's not perfect but we're going to get the message," Krikorian said. The personality and the skill make her a potentially powerful ambassador for the game. Like so many others, across the world but especially in South America, she grew up idolizing Marta. No matter what people said about a girl playing soccer or what opportunities did or did not exist for her, she could see living proof in that iconic yellow jersey that the game was made for her, too. A continent watched that. Castellanos is more proof it learned. "I think around the globe we've seen significant growth in so many different countries," Krikorian said, noting in particular the likes of World Cup knockout-round participant Colombia. "With players like Deyna ... her influence and the influence of a few of her teammates certainly showed very well for Venezuela at the youth World Cup level. Now the question is how do those players continue to grow and develop and mature. Testing themselves at the senior level may be a little more challenging, but it seems like there is progress being made." Inescapable in her particular story, of course, is the political upheaval pushing a lot of things, sports included, to the periphery in Venezuela. Her words become sparser on that subject, perhaps uncomfortable with the complexity of the issues in a second language or perhaps just unsure what to say. Much of her summer was spent in the United States. But her family still lives there, her dad a wholesaler for a hardware company. Her friends still live there. She followed the news as protests filled the streets, as President Nicolas Maduro drew international rebukes for reshaping the government and now as inflation tears at the economy. "They tell me what is happening, but I can't do anything about it," Castellanos said. "I think that everyone is worried, but I try to not think about it." What she can control is the immediate future of women's soccer in Venezuela. Next year features both the Under-20 World Cup, the next logical step for her generation, but also, before that, qualifying for the 2019 World Cup. Two South American teams qualify automatically, while the third enters a playoff against a team from CONCACAF. "I'm really excited that I can represent my country at the best level," Castellanos said. "I try to make Venezuela proud and do all that I can do." Whether or not she is the player of this year, few have the chance to do more in the years ahead.